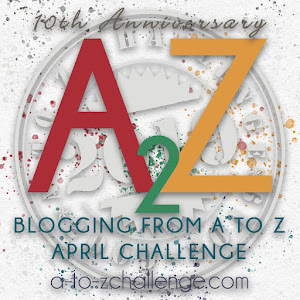 “No!” Zara folded her arms and stamped her foot. “No!” She pursed her lips and wrinkled her nose. "Oh, leave her be, Mags,” Greg said, hiding a grimace as he placed his spoon down. “Just one time. Let her off,” he said, winking at Zara from behind Mag’s back. “What are the two of you up to now?” Mags said, turning as Zara ran past her and clambered onto her father’s lap. The two looked guiltily at each other. “Actually, dear, it’s quite… disgusting,” Greg said with a shrug. Tzatziki or tzadziki(Greek: τζατζίκι [dzaˈdzici] or [dʒaˈdʒici]; Turkish: cacık [dʒaˈdʒɯk]; English pronunciation: /zæˈdziːkiː/ Albanian: xaxiq), Persian ماست و خیار, is a Greek and Turkish meze or appetizer, also used as a sauce for souvlaki and gyros. Tzatziki is made of strained yoghurt (usually from sheep or goat milk) mixed with cucumbers, garlic, salt, usually olive oil, pepper, sometimes lemon juice, and dill or mint or parsley. Tzatziki is always served cold. 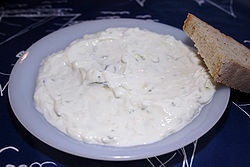 While in Greece and Turkey the dish is usually served as an accompaniment, in other places tzatziki is often served with bread (loaf or pita) as part of the first course of a meal. Because there are a lot of things I don't like to eat, cucumbers included. I'm just a fussy eater. I went to a Greek restaurant for the first time the other day in Sydney, Australia. I asked for the yogurt sauce and they said, you mean the tzatziki. I said, yes, that please. It was so good. I ate it with pita bread and it was one of the best things I had on my vacation.